Following the heels of brother Charly’s visit to Ghana in April 2017, a lot of things have happened since. One of such happenings of positive nature is occurring in the Higher Glory House Ministry, pastored by pastor John Angmor Padi who is undergoing discipleship under my supervision in the Fishermen Ministry, Africa. You can read his testimony by clicking here to find out how he came to be connected to the ministry. 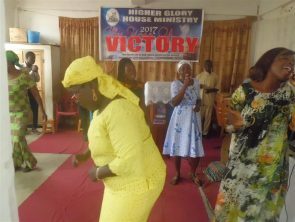 The Higher Glory House Ministry is located at Ashaiman New Town in the Greater Accra region in Ghana. The congregation of roughly 60 adults meets regularly in a classroom at the Peace Paradise School for more than eight years. During the period they have gone through several fluctuating experiences regarding spiritual and numerical growth. All said, it was the only church that Charly visited twice when he came to Ghana even though we had plans to visit other ministries but the Higher Glory House had the sole privilege to receive his ministry. Breaking Ground with Pastor Padi (click on above picture to view more photos). One week after Charlie’s departure, the need for acquiring their own land and putting up their own church building structure was forcefully brought up when the Peace Paradise School authorities did not permit them to worship in the classroom for one Sunday morning because the school needed the place to hold a programme the same time. This caused a lot of inconvenience as they had to find an open place in the neighborhood with its accompanied distractions and other inconvenience for service. This event gingered them to renew their search for an affordable piece of land of their own so they can put up their own structure. Having at the back of their mind previous nasty experiences of how some land owners have given them a raw deal and resold land that they had paid for to other developers, they were more cautious in their approach. Various offers came their way. Some too expensive others had unresolved disputes that could erupt anytime it is sold, some at very distant location away from where members lived. Prominent amongst all the obstacles encountered was that of money to purchase as plots of land are expensive in this part of the world. 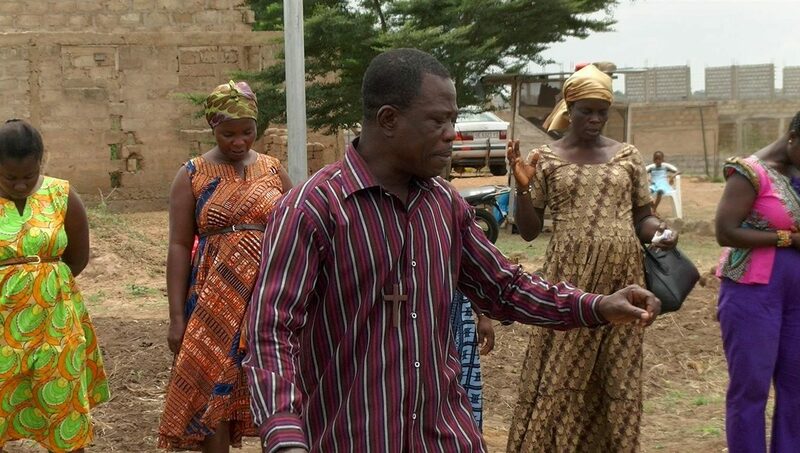 Finally, the Lord led us to some land owners at a not too distant location about 6 miles away from downtown Ashaiman. The deal for the land was good as we got 2 plots sized 200 X 70ft at a reasonable price. The Lord touched the heart of the land owners to give the church a flexible payment term. Half of the total amount was paid as down payment and permission was granted for the church to commence development of the land whilst working out modalities for paying the balance. 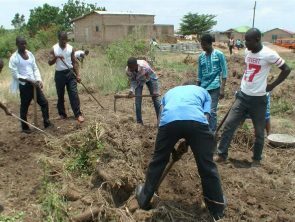 Bit by bit, with church communal labor, work is progressing slowly but surely as and when resources become available for materials to be purchased. It is the hope and prayer of the church to be able to roof the skeletal structure and commence services there by the turn of the New Year. Once that is achieved, work would commence on the next phase of covering the structure to protect from the wind and dust. PRAISE BE TO GOD ALMIGHTY FOR HIS GOODNESS AND MERCIES.